With this product, you earn 106 loyalty point(s). 1. Light weight and extremely durable EPP airframe. 3. 6-axis gyroscope with 3D / 6G mode conversion, suitable for different types of flight. 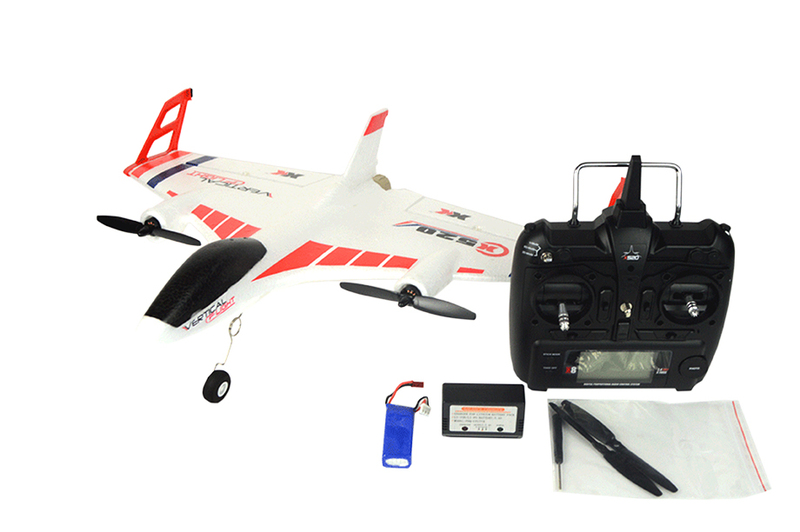 Switch to 3D mode for full aerobatic control, switch on the 6 axis gyroscope for easier control more suitable for beginners to practice flight. 4. Can take off and land vertically in small areas, multirotor versatility with sport plane agility with ability to also take off and land as a normal aircraft. 5. Altitude hold feature in both flight modes keeps the aircraft flying if the pilot gets into difficulty. 1) Indoor vertical flight, the aircraft can fly like a four-axis quadcopter or helicopter, vertical flight, hover flight, forward, backward, left and right side fly, spin flight. One key auto take off and landing when in vertical mode. 2) Outdoor mode. 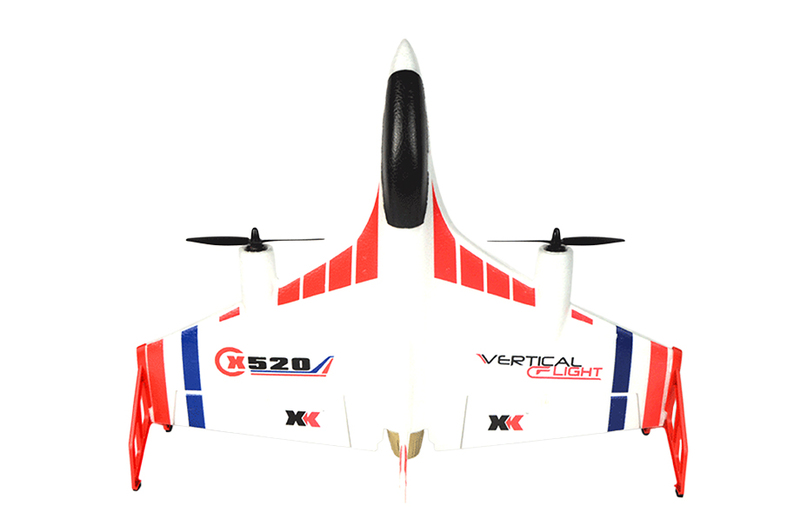 The aircraft takes off vertically from one key switch, the aircraft will climb 3 meters and change to horizontal flight automatically (6G self-stabilizing mode) and fly just like a fixed-wing aircraft making it suitable for beginners. 3) Outdoor stunt mode. 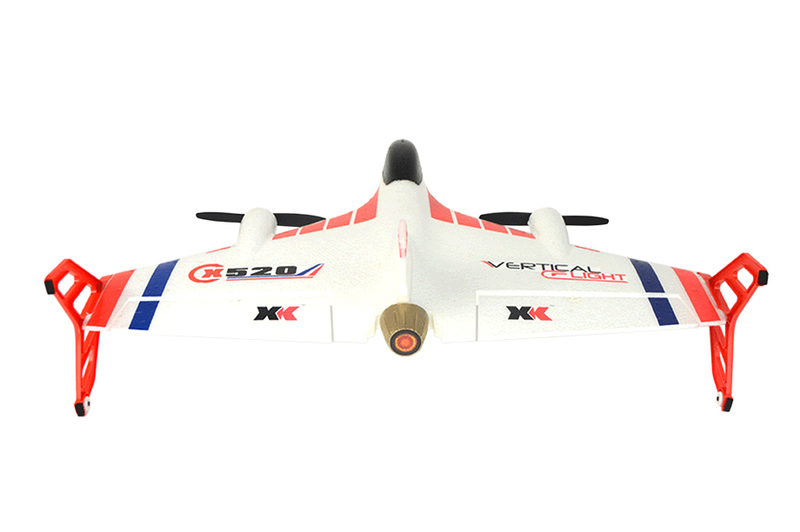 When flying horizontally switching the 3D/6G key puts the aircraft into 3D stunt mode (3D lock mode), easy to make somersaulting, rolling, death spiral, and other stunts. If you are in trouble with 3D mode, switching back to 6G or vertical mode should save your aircraft. 7. Three point landing gear can be used for normal aircraft glide landing, or outdoor glide takeoff to get directly into the fixed wing mode. 8. High-capacity 7.4V Li-po battery giving a flight time more than 10 minutes.